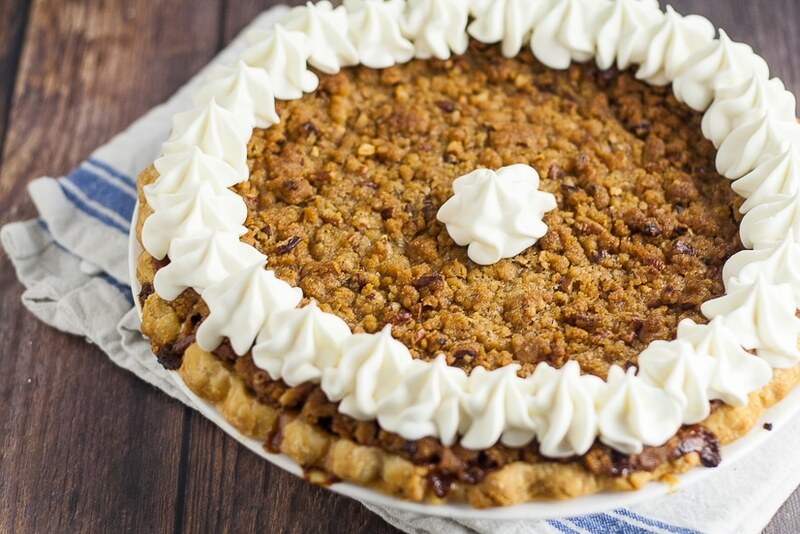 Classic sweet potato pie topped with a brown sugar and pecan crumble topping, just like your favorite sweet potato casserole, for a Thanksgiving pie recipe that is sure to please! 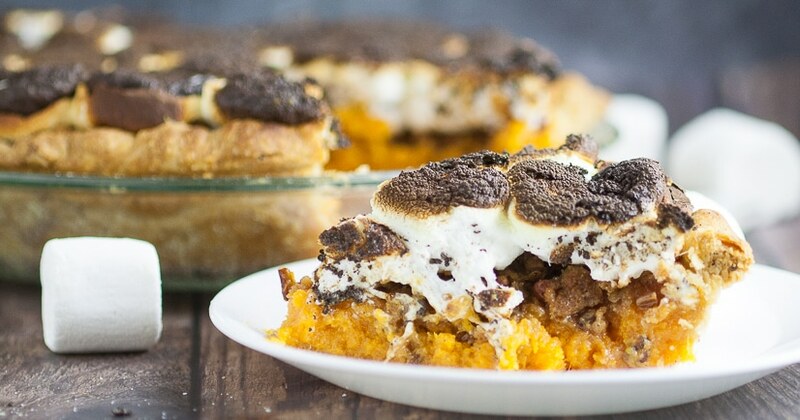 Last year I shared a sweet potato pie recipe topped with toasted marshmallows that was totally amazing (I’ll link to it at the bottom, if you want to check it out!). But if I’m totally honest with you, I’m usually not a huge marshmallow fan. I have a marshmallow creamer recipe that awesome, marshmallow frosting, and I’ll eat anything s’mores. But on sweet potatoes, I just love that pecan and brown sugar streusel crumbly topping. So. Good. 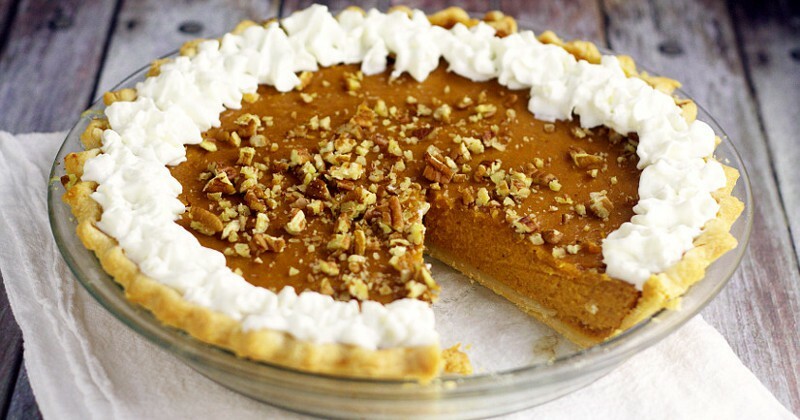 So I thought, it’s delicious on sweet potato casserole, why not put it on sweet potato PIE?? And here we are. 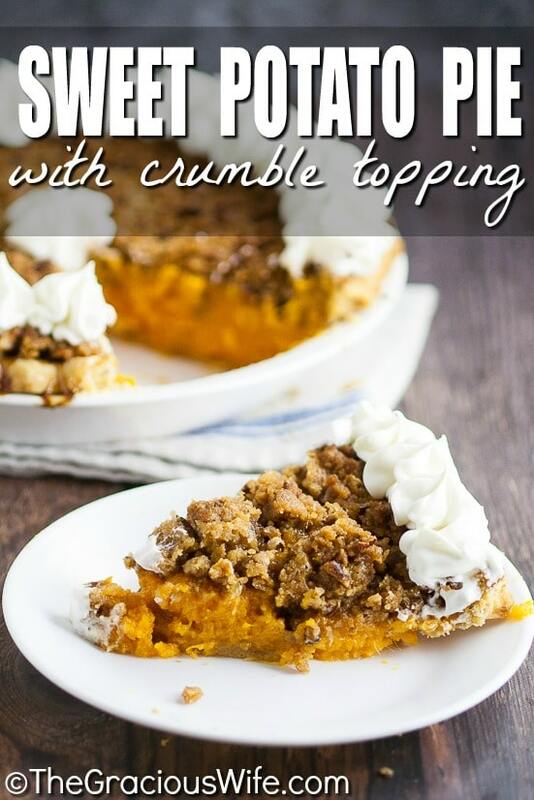 With this delicious Sweet Potato Pie with Crumble Topping. Wash and bake potatoes at 375° until fork tender, about 30-40 minutes. 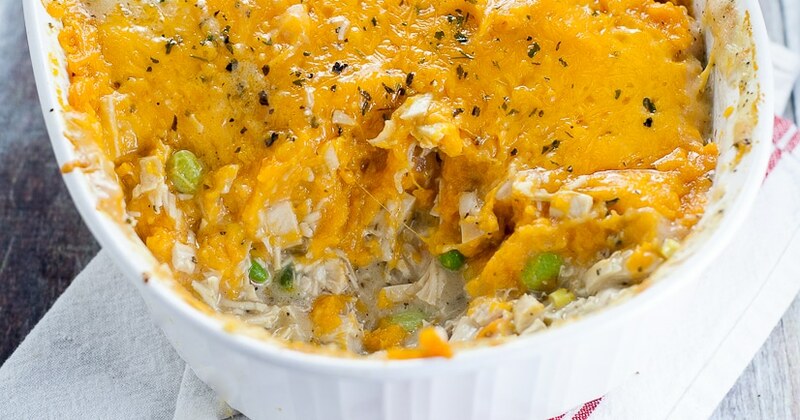 Peel sweet potatoes and place into a large mixing bowl. Mash potatoes slightly with a masher or fork just to get them started. Add sugar, milk, egg, vanilla, and butter into mixing bowl with sweet potatoes, and beat together to combine. Pour sweet potato pie filling into unbaked pie shell. Set aside. In a medium mixing bowl, add brown sugar and flour for topping. Whisk together. Add butter and cut in with a pastry blender. Stir in chopped pecans. Sprinkle on top of pie. Bake pie at 375° for about 30 minutes or until cooked through. 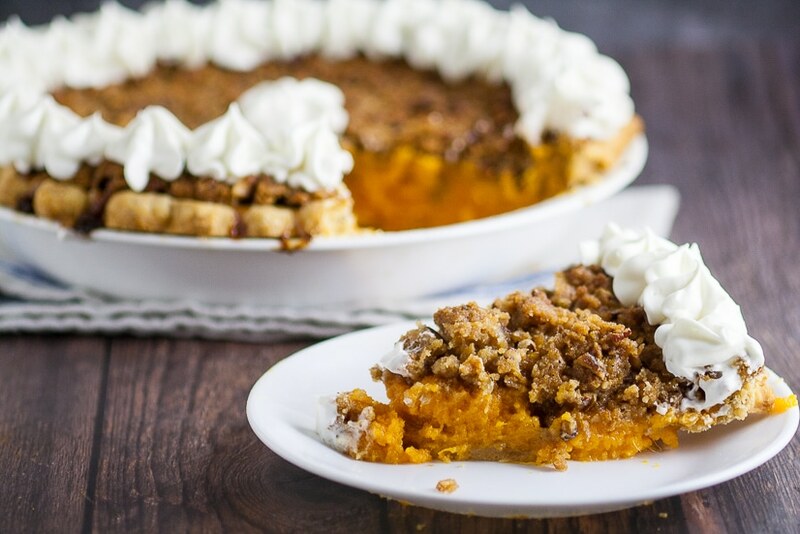 Did you like this Sweet Potato Pie with Crumble Topping Recipe? 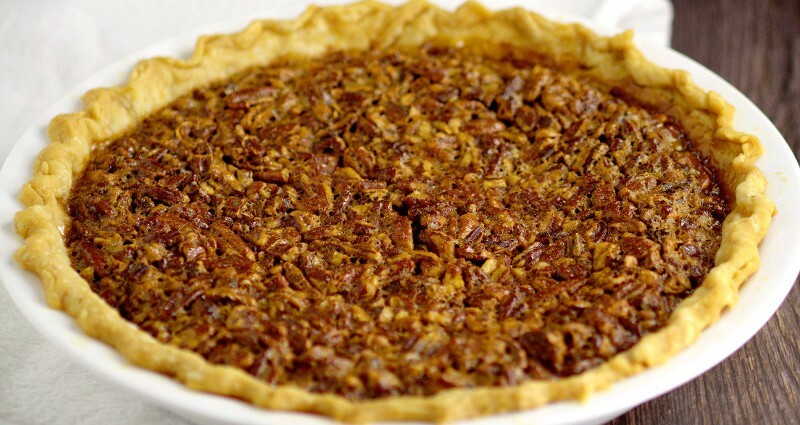 Find more on my Pies, Desserts, and Thanksgiving boards on Pinterest!